Here at Engine Parts (UK) LTD we stock a massive range of hydraulic lifters, cam buckets, cam followers, rocker arms & camshafts between our three distributions hubs in the UK. 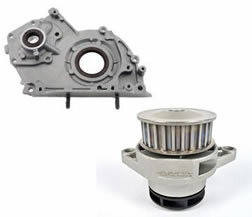 We keep OEM parts as well as aftermarket products from AE, Freccia & Ajusa. 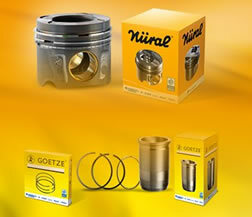 We can source INA, Febi Bilstein, Estas, Kent Cams and other brands as a special request. 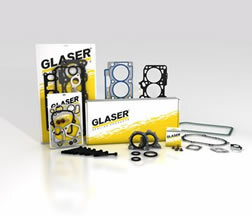 Camshafts are used to set the timing of the valve train. The lobes on the camshaft determine how much a valve protrudes and it's duration. We can source performance camshafts where the valve lift or timing needs to be changed to increase power / torque at a given engine speed. 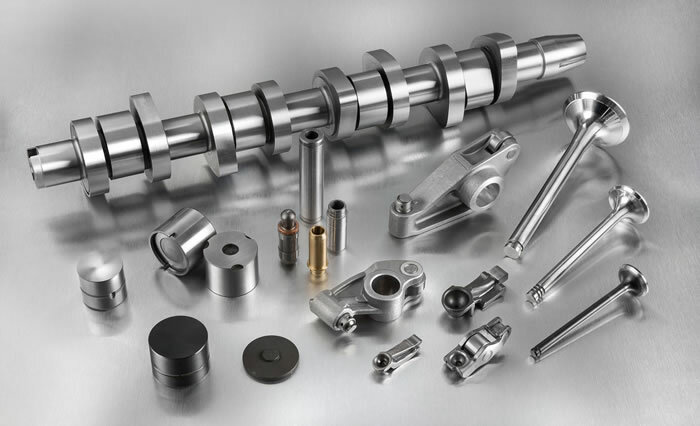 Camshafts are made in different materials and different methods are used to construct the camshaft. Many are a chilled cast iron construction which is cast and then precisely machined to specification. 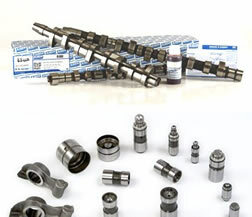 Other camshafts are constructed in a manner where the cam lobes are "sweated" onto a shaft. If your engine has this type of camshaft and suffers a timing failure, the lobes can be moved on the shaft without notice. This can cause mechanical failure if the camshaft is fitted with the lobes in the incorrect position. The camshaft should be checked by a local engine remanufacturer to ensure they are "in time". Some engines require a billet steel camshaft where the whole shaft is machined from hardened steel. 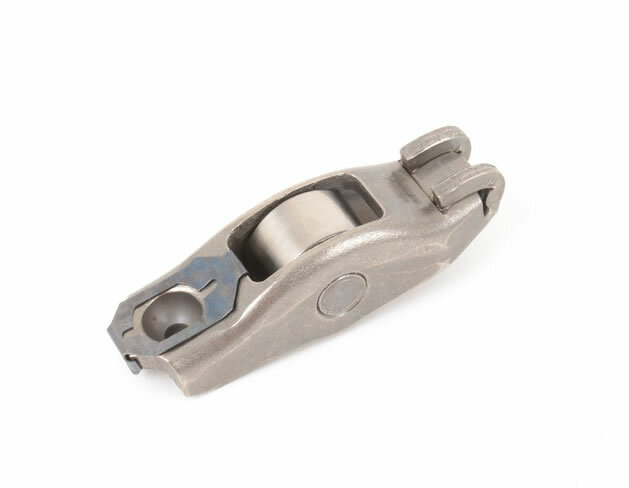 Rocker arms transfer mechanical energy from the camshaft to the valve. 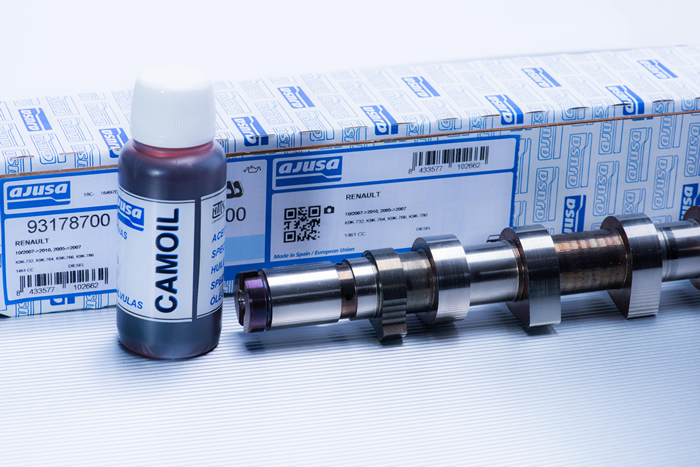 The cam shaft may be in direct contact with the camshaft or by a push rod. 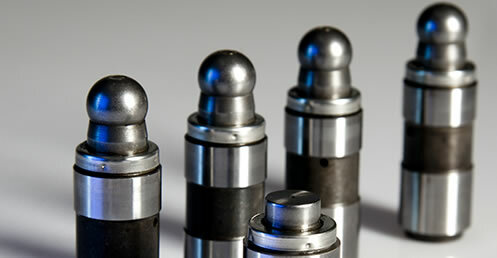 Push rods are typical in engines which have an OHV (overhead valve) design. Hydraulic lifters rely on engine oil & pressure to ensure the correct valve clearance. Sticking hydraulic lifters can be audible through the valve train and cause premature engine wear. Regular servicing and using the correct oil is critical of smooth hydraulic action. 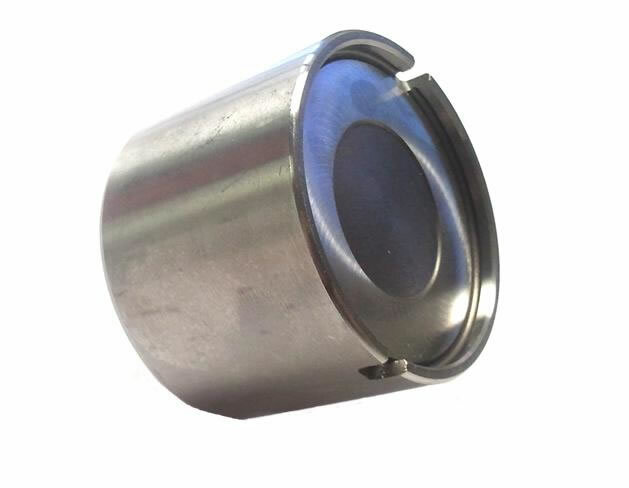 Cam buckets are a mechanical lifter that is often in direct contact with the camshaft. 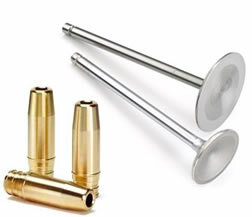 These buckets are cylindrical and are other sold with different overall lengths or with a recess for a tappet shim. This difference are used to set the valve clearance. Appearance: Carbonised oil build-up on cam and followers. Causes: Excessive operating temperatures resulting from marginal lubrication conditions due to contaminated lubricating oil or blockages/restrictions in oil feed galleries. Remedy: Thoroughly flush the lubrication system, ensuring that all galleries and hydraulic lifters (where fitted) are free from blockages & debris. Install new camshaft and followers, prime with extreme pressure lubricant and replace oil and filter. Appearance: Witness marking on base circle of cam-lobes, biased to one side. Causes: Worn hydraulic lifter and/or retainer springs. Remedy: Replace cam and followers if marks are deep, otherwise set tappets to correct clearance. Thoroughly flush the lubricating system and replace oil and filter. Appearance: Premature wear of one or more cam-lobes & followers. Follower contact surface will be concaved with chipped edges. Causes: Incompatible cam-lobe & follower contact surface geometry. 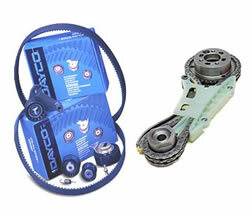 Often caused by fitting new camshaft with old followers or vice versa. Can also result from lubricant starvation from blocked or restriction in oil supply. Remedy: Thoroughly flush the lubricating system, replace cam and followers, prime with extreme pressure lubricant and replace oil and filter. Do not mix old and new components. 1 Sticking or seized valve, resulting in the follower to break due to cam-lobe pressure. Or through over high revving of engine. Remedy: investigate & rectify the mechanical overload cause. Thoroughly flush the lubricating system, replace all damage components, prime cam and followers, with extreme pressure lubricant and replace oil and filter. Causes: Contaminated lubricating oil, tappet clearances too tight, excessive valve spring pressure. Appearance: Camshaft breakage between or through cam-lobes. Causes: Severe distorted camshaft housing or cylinder head. Incorrect torque sequence and mishandling can also cause similar breakage. Remedy: Straighten or replace camshaft carrier/cylinder head, use correct bolt torque sequence and handle with care. Thoroughly flush the lubricating system, replace cam and followers, prime with extreme pressure lubricant and replace oil and filter. 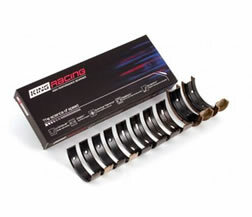 Appearance: Severe scoring of the camshaft bearings. Cause: Contaminated lubricating oil, i.e. foreign particles circulating in oil. Remedy: Thoroughly flush the lubricating system, replace cam and followers, prime with extreme pressure lubricant and replace oil and filter. Appearance: Cam-lobes, bearings & followers have a ‘blue’ discoloration. Causes: Severe overheating of engine due to malfunction of the cooling system. Remedy: Investigate and rectify the cause of the damage. Thoroughly flush the lubricating system, replace cam and followers, prime with extreme pressure lubricant and replace oil and filter.